Here are my Top 5 Mixtapes from 2012. Click the pics to be taken to the appropriate download links. If war came in your headphones, this is what it would sound like. 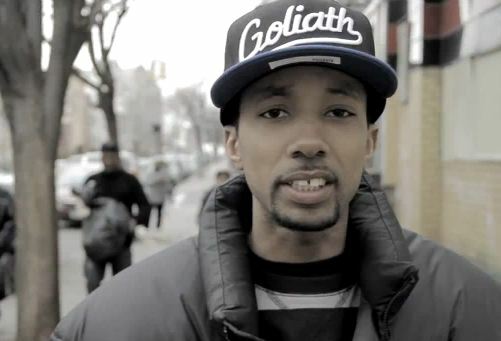 Spit Gemz is the quintessential street poet of our generation. This man combines the highest level of intelligence and wordplay making this the best street album/mixtape this year. Red Eye definitely has an argument for the best mixtape of 2012. This mixtape is tough. Really tough. The beats are big and the rhymes are raw. There are also tons of dope guest shots on this project as well. Lots of replay value on this joint. Juan Deuce’s first project, No Sweat, is a winner. Juan Deuce is an artist all unto himself and can not be duplicated. This project is absolutely unique. And ‘unique’ in this instance means…fresh. DMP offers the most traditional of mixtapes in this year’s awards. Lots of short but dope cuts on this project from a group of Virginia emcees back by Nottz behind the boards. Good music to saturate your eardrums in. Do you want a mixtape to bang and knock in the whip? Our Sandpeople brethren brought you some ill music in 2012 and perhaps none more sick than OnlyOne’s Cult Classic. This was a tough category. There were so many dope, short projects that were offered up this year that it was really hard to narrow it down to my favorites. I just kept the one ruling principle in mind as to who made the dopes music. With that being kept in mind there were some dope artists left off…most notably The Brown Bag AllStars. That crew put out a ton of dope EPs this year and surely some of them would have made a Top 10, just not the Top 5. I simply couldn’t let got of these joints. The 17th gave us ‘FREE Music’ but not only that, he gave us some remarkable music. This EP is close to flawless as they come. You get eight tracks jam packed with flavor, great concept, flows, production, and delivery. Another remarkable aspect is that much of the EP is his from beginning to end. He of course is the lead emcee, but also the producer for the bulk of the tracks as well. Serge Severe and Terminilllinked up for a superlative effort on Service Without A Smile. The two really played off of each other’s strengths and this proved to be one of the illest producer/emcee combos of 2012. Speaking of ill producer/emcee combos, how about this one? Swiss-American hip-hop group, Nefew, Virginia emcee Shakes, and super producer Nottz link up for for this five track EP. You can’t go wrong with this joint! MayDay has a sound all unto themselves. They have have great production to back them up on Thrift Store Halos and their melodies, rhymes, and guest shots throughout make this one a clear winner for 2012. The Narcicyst comes back in 2012 with a lyrical fury from Dubai. Ok, a lyrical fury may be a bit extreme but his world observations set to rhythm set him apart from the pack this year.